An Alexa skill is a functionality that can be developed for Amazon’s voice assistant. Skills serve as a way for brands to provide a unique, customer-focused experience. Also, they can be a valuable new part of your content marketing plan. One thing skills are so useful for here is that they open the door to new possibilities: the voice interface can be used to better serve customers and share content more effectively. The tool is growing in popularity, having added 5,000 skills over a six month period last year. If you’ve been wanting to increase your brand visibility, an Alexa skill could be just the thing to help. However, be careful that your company isn’t developing a skill just to have one; if necessary, hire a programmer with experience in developing voice assistant skills. They can help you build a program your audience will actually want to use. Johnnie Walker is a popular whiskey brand that has taken a unique approach to their Alexa skill. Once a user confirms that they’re of age and legally allowed to drink, potential customers can access a wide range of features from the brand. The skill can recommend whiskey based on the customer’s answers to questions about their tastes and palate, which helps the brand boost their sales. It also makes the customer feel like they’re having a personal conversation. This is perfect for today’s consumer, as a recent survey revealed that people look for what they perceive as personalized brand interactions. Luckily, Alexa skills are optimized to learn about customer preferences. This creates a clear path for you to be able to provide a more personalized experience to each user. Individualized interactions increase customer engagement and are more likely to foster a sense of brand loyalty. Time Out is a popular publication that provides users with information and suggestions for major travel destinations like New York, London, and Tokyo. The company’s Alexa tool makes it easier for the reader to get recommendations for things to do around town. The tool is updated daily by the publications editing team with unmissable events and opportunities for each location. This skill allows Time Out to promote its products while providing their customers with helpful services. It also helps the brand to increase their recognition across broader audiences. Frequent updates are a great way to keep users engaged and coming back for more. If new material is always available to your audience, they can get into the habit of regularly using your skill. While you may not need to update daily, keeping your information fresh and constantly striving to provide your audience with more is a great way to maintain customer satisfaction. Tide has a simple, widely recognized purpose: helping its users remove fabric stains. The more people who associate Tide with this cleaning process, the greater benefit the company receives. This was the idea behind the creation of their skill: the program instructs users on how to treat and remove various stains. 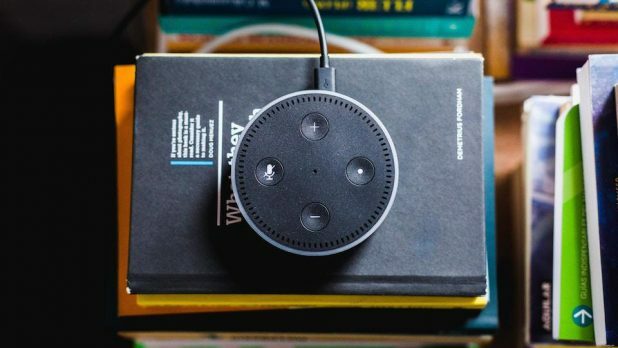 It is in this way that Alexa helps the brand: the voice software allows the skill to come across like a knowledgeable friend or family member. An easy-to-use skill that makes the user feel comfortable interacting with it is a great way to increase platform engagement. Word-of-mouth can be a valuable tool with a skill like this. Imagine that your friend spills their glass of red wine on your antique tablecloth; Tide’s Alexa skill can put you at ease while impressing your companions with its efficiency. With the rise of assistants like Alexa, voice searching is becoming more and more popular among users. Advances in the technology mean that it is only becoming more reliable, which helps to boost this popularity. Alexa skills are ideal for content marketing as they can offer personalized service to users. Skills present brands with an opportunity to consistently interact with their users, whether it’s through recommending daily content or attempting to boost your sales.